I'm a Babble.com Family Kitchen Blogger! 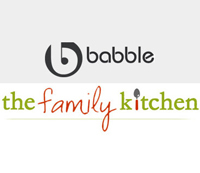 Some exciting news for me this week as I join the Babble.com Family Kitchen team of bloggers. Find out what I'll be blogging about, what this means for HealthyHappyLife, and meet my fellow Babble bloggers! Get the buzz.. Please check out and share my very first Family Kitchen Post! 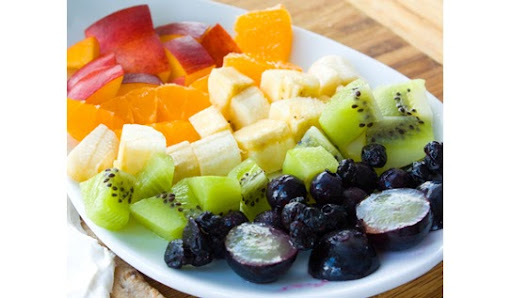 It's a re-vamp at my popular Fruit Rainbow Wraps for kids! ..Buzz. Buzz. Just call me a busy little vegan bee these days. With cooking, photographing and writing posts for HHL, editing FindingVegan.com, working on more iPhone (and soon Droid) Apps and tweeting and facebooking all my yummy vegan food adventures. ..now I'll be adding another venture to my stacked plate. And I couldn't be more excited about it! Starting this week I'll be blogging at Babble.com for Family Kitchen. I'm be bringing my healthy vegan perspective to the Babble readers. What does this mean for Healthy Happy Life? Even more fun content! 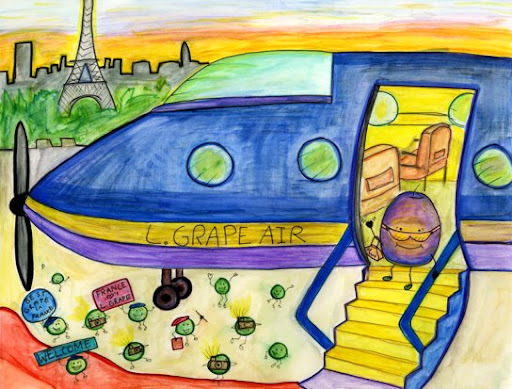 Now you'll be able to read my standard HHL fare as well as more niche topic posts for Babble. Babble.com is a vast online community for "a new generation of parents" and really anyone looking for fresh, fun, high quality lifestyle content. I'll be blogging my vegan recipes, and I'm excited to share more kid-friendly vegan recipes. Babble will give me a chance to share more Lunchbox Bunch "kids in the kitchen" fun. I'll also share lots of easy vegan recipes/tips to help busy families get (and stay) healthy via plant-based foods. I'll be linking to my Babble blog posts often to keep you updated on my new recipes - or when I add a fresh perspective to an archive recipe. Lots of healthy recipes to go around! And I'm in some amazing company!.. Meet the lovely Family Kitchen ladies.. It was even so nice to meet a few of the Family Kitchen bloggers at the Dole Wellness Summit last summer. Here is the lovely Brooke McLay and me.. So please check out my first post and let me know what recipes/kitchen tips you'd like to see my write on Babble. I'd love your feedback! Excited to arrive at Babble!..